India's richest person Mukesh Ambani Friday committed to investing Rs 3 trillion in various projects in the next 10 years in Gujarat, that may range from energy and petrochemical to new technology and digital business. Ambani's Reliance Industries operates the world's largest oil refining complex at Jamnagar in Gujarat as well as petrochemical units at multiple locations in the state. "Gujarat is Reliance's Janmabhoomi (birthplace) as well as its Karmabhoomi (workplace). Gujarat has always been - and will always remain - our first choice," he said at the 9th Vibrant Gujarat Global Summit here. Reliance Industries has also invested billions of dollars in the rollout of telecom venture, Jio. "We have so far invested nearly Rs 3 trillion in the state of Gujarat. And created and catalyzed over one million livelihood opportunities in Gujarat. In comparison to the past decades, Reliance will double this investment and employment numbers over the next ten years," he said. 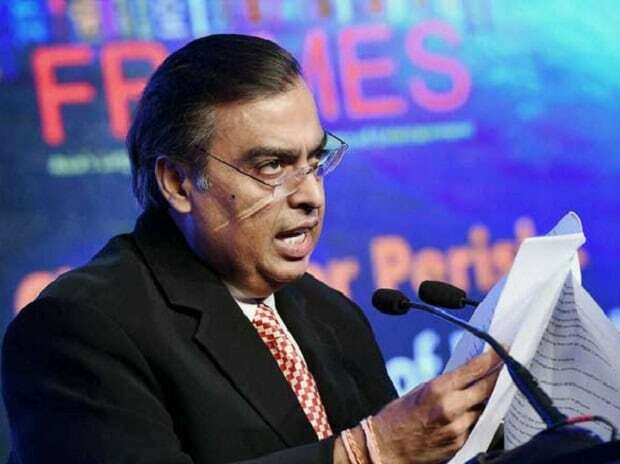 Ambani said, while Jio's network is now fully 5G ready, the telecom arm and the retail division will launch a new commerce platform to connect small retailers and shopkeepers with customers. "Today, Gujarat is the showcase for Jio's 4G wireless broadband network... And Jio's network is fully 5G ready; which means Gujarat will continue to remain on the forefront of digital connectivity for years to come," he noted. Without giving timelines, he said Jio and Reliance Retail, which has over 9,000 stores across the country, will launch "a unique new commerce platform to empower and enrich our 12 lakh small retailers and shopkeepers in Gujarat which are part of over 3 crore community in India." "As the world moves towards electrical vehicles, Reliance will use hydrocarbons less for fuel and more for producing high-value new materials with a wide range of uses in society," he said adding the oil to chemicals strategy will greatly boost exports and create employment.